The Old Comedy subsequently influenced later European writers such as Rabelais, Cervantes, Swift, and Voltaire. In particular, they copied the technique of disguising a political attack as buffoonery. The legacy of Old Comedy can be seen today in political satires such as Dr. Strangelove and in the televised buffoonery of Monty Python and Saturday Night Live. Menander was the most successful of these three comedians. His comedies not only provided their audience with a brief respite from reality, but also gave audiences an accurate, while not greatly detailed, picture of life. 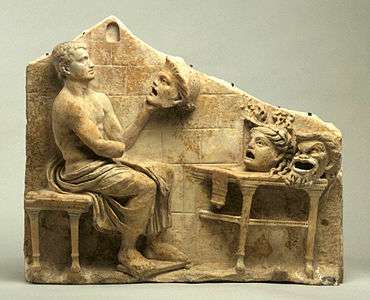 This led an ancient critic to ask if life influenced Menander in the writing of his plays or if the case was vice versa. 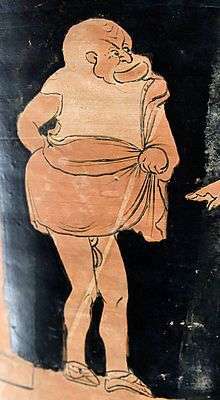 Unlike predecessors such as Aristophanes, Menander's comedies tended to center on the fears and foibles of the ordinary man, his personal relationships, family life and social mishaps rather than politics and public life. This seems to be what made him more successful than the other Greek comedians who wrote in the same genre. These plays were much less satirical than preceding comedies. The other two comedians are Philemon and Diphilus. Philemon was a comedian whose comedies dwelt on philosophical issues and Diphilus was a comedian whose comedies were noted for their broad comedy and farcical violence. Philemon's comedies survive only in fragments, but Diphilus' comedies were translated and adapted by Plautus. Examples of these comedies are Plautus' Asinaria and Rudens. Based on the translation and adaptation of Diphilus' comedies by Plautus, one can conclude that he was skilled in the construction of his plots. Old Comedy may be ruthlessly satiric in spirit, often with biting invective directed against actual people to a degree that has only recently been equalled with Dennis Miller's newscasts on Saturday Night Live. ↑ Seth Lerer, Comedy through the Ages (recorded lecture series), Springfield, Virginia: The Teaching Company, 2000.